Happy Holidays! I’m just starting now to get in full holiday mode; prepping to take some time off work and preparing myself for the fact that Christmas is just about a week away now. How did that happen?! For those of you who are still shopping ’til you drop, I thought I’d share a fun holiday gift guide for the holiday gifts that every dog lover and crazy dog lady alike will appreciate. From treats and toys for the special pups to customizable gifts and books that educate or warm the heart, there’s something on this list for every dog lover. As with my previous gift guide for fashion lovers, I’m also bringing you a chance to win one big ticket prize, so be sure to read through until the end! It was about one year ago that I wrote my most popular post ever, innocently titled ten things you should probably know about Shiba Inus. I made a few Shiba owners angry, I had a lot of breeders write me messages thanking me and wanting to share with their pet clients, and I had even more people laugh along with me who own a dog just like mine. I also received a lot of emails from prospective owners wondering if I was exaggerating and if the Shiba Inu breed really might not be for them. 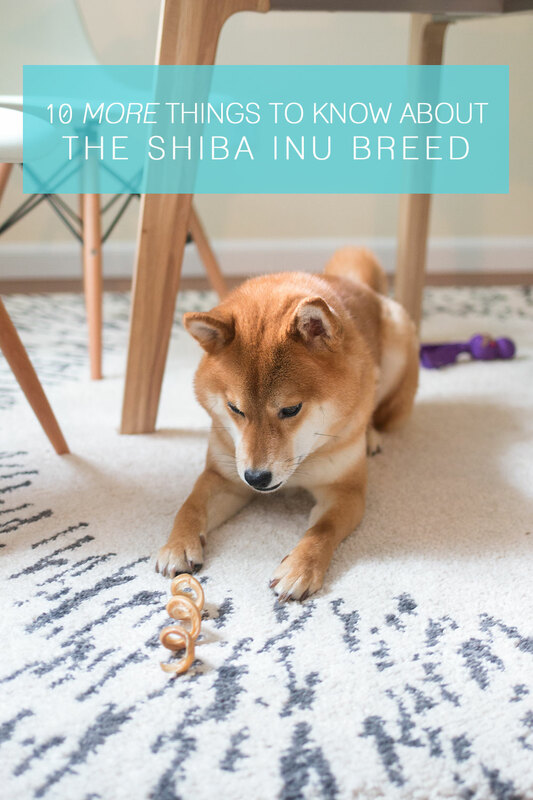 Now over a year later, I still get a lot of questions, so I thought it might be time to write 10 MORE things I think you should know about the Shiba Inu breed! Of course, not every Shiba is just like Rigby. Just like the humans that own them, each dog is a special snowflake with its own set of quirks, likes, and dislikes. However, at their core, Shibas tend to be pretty similar in that they are typically 1. aloof, 2. independent, and 3. irritatingly smart. These are the other things that I think you should definitely know before you consider getting a Shiba Inu for your family. The comparison to cats is real. As much as I try to deny it, Rigby is really quite cat-like. He prefers to be high up, surveying his kingdom as often as possible. You’ll often find him sitting on top of his crate, on the back of my parent’s couch when we visit, or peeking out the window. He’ll rub your legs to get noticed in the kitchen, clean himself after each of his meals, and let you know when he’s had enough of your petting too, just like his feline counterpart. Have you ever ate your dog’s treats? No? Just me? What can I say, if they’re labeled human grade, I’ll try them. I never expected to enjoy eating any dog treats… but all that has changed. I recently popped into one of my favorite pet shops only to notice a staggering increase in the price of dog treats. (And it’s not just this shop, I noticed the same thing at the big box stores too!) I’m a bit of a snob when it comes to dog treats, so a small-ish bag of dog cookies will set me back anywhere from $6-8. Let’s be real – I can’t leave without more than one, so $20 later… you get my drift. It’s pretty spendy. 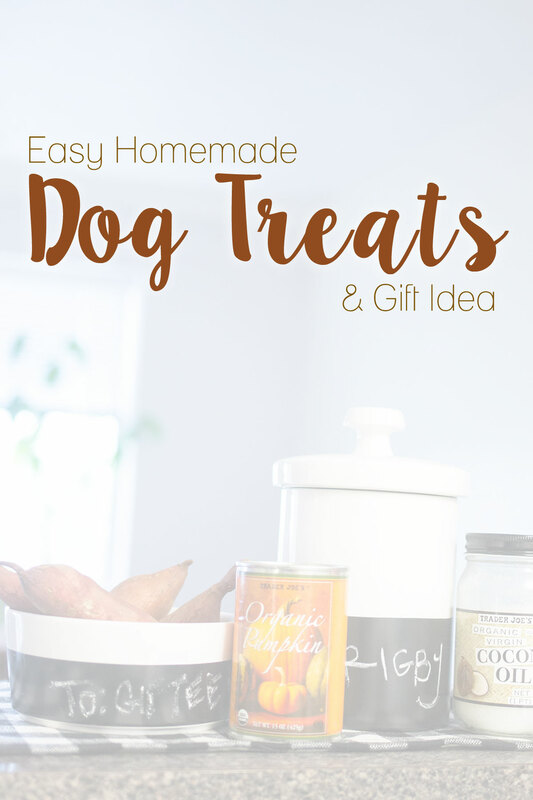 With the holidays upon us, what could make a more perfect gift to a pet owner than some easy homemade dog treats? And wouldn’t it be even cuter if they were packaged in a treat jar or dog bowl? When Waggo offered to send me a couple to try (as well as an amazing dog bed, which you can win in my holiday gift guide giveaway! ), I knew these would make a fabulous gift.